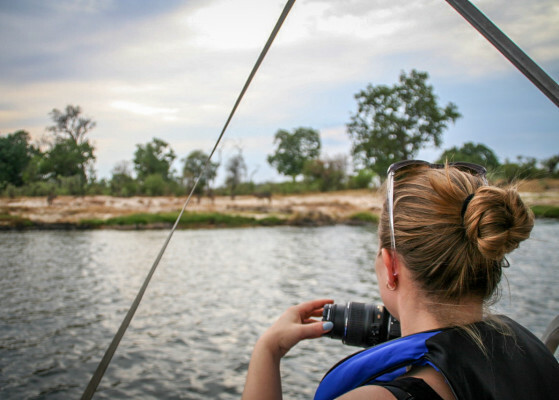 Sindabezi Island is the exclusive ‘little sister’ camp to Tongabezi and sits snugly on the Zambezi River right between Zambia and Zimbabwe. 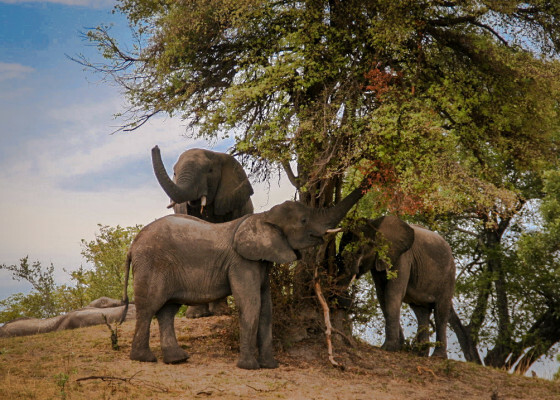 The island is remote: her only neighbours are the hippos, elephants, birds and other wildlife that come down to drink on the opposite banks or flit about in the trees above each room. 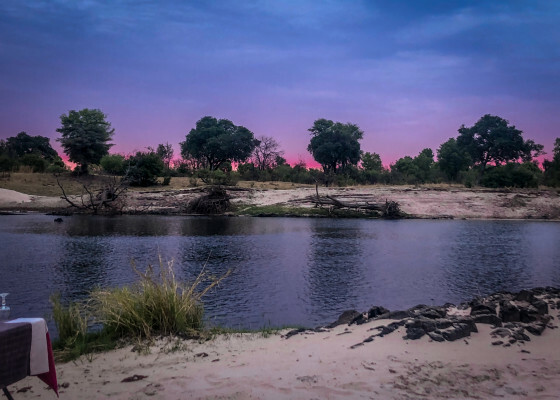 But Sindabezi is also accessible enough that Victoria Falls — along with all of the accompanying adrenaline-filled activities such as white water rafting, bungee jumping, and helicopter flights over the ‘smoke that thunders’ — is only a boat ride and a short drive away. 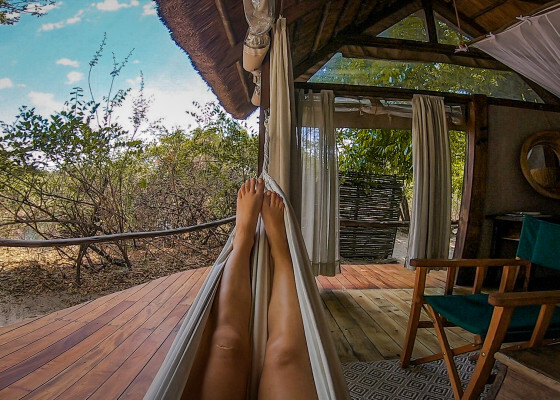 Sindabezi is made up of five open rooms, with solar panels powering all lighting and hot water. The island can be booked out privately as an eco-friendly retreat, as all wood is sourced sustainably and there is a grey-water system to ensure that water is recycled too. Sindabezi offers incredible river safaris each evening: just last week guests caught a herd of elephants swimming across the Zambezi, were surrounded by a flock of hundreds of thousands of red-billed quelea searching for a calm patch of river to drink, and got up close and personal with a herd of buffalo grazing on the riverbanks. This, of course, was on top of the usual hippos, kingfishers, and even odd crocodile coming to say hello. 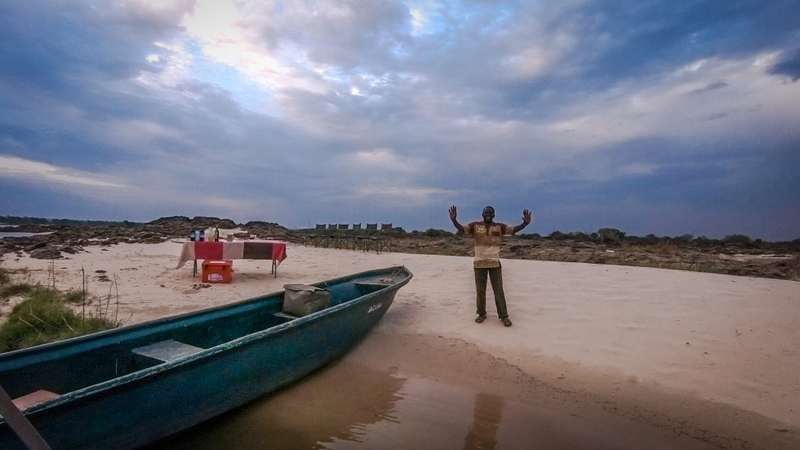 The secret weapon of the Sindabezi Sunset Cruise, however, isn’t the animals. After the safari itself is over, guests are dropped off at a surprise spot where a temporary Sand Bar has been set up for them. The location changes regularly and is only available when the water is low enough to reveal pristine white sandbanks. 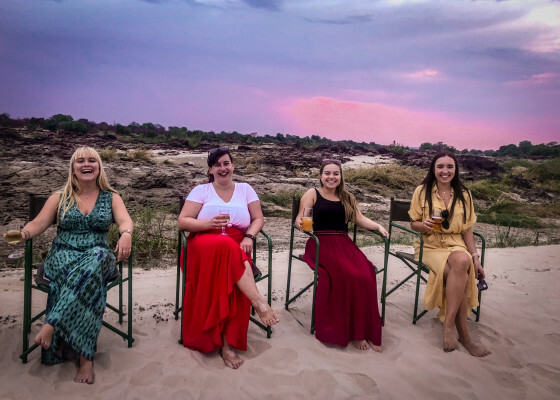 Each evening guests can be sure that their experience of the sandbar will be like nobody else’s and can watch the fleeting sunset with a cocktail or a glass of wine in hand, knowing that when they are done their footprints — like their environmental imprint when staying at Sindabezi — will be washed away by the Zambezi River and leave untouched nature behind.